After more than a week of vacation time – or of being unable to reach people because they've been vacationing – this Monday can feel like total confusion. With so much work piled up, where do you start? If you're like me, you probably want to do it all at once, but of course that's not possible. That will just make a bigger mess. So you have to settle down and prioritize. 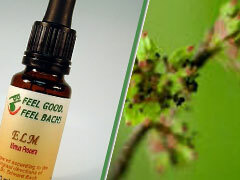 Elm is the Bach Flower Remedy that helps us organize our lives. At the same time, it releases the burden we feel when there are just too many things to do. 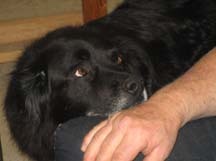 But the Elm Flower Remedy is not just for work. Our busy lives give us conflicting responsibilities every day. Do we leave the work undone to take the kids swimming? Do we make the kids wait while we tend to the work? Which is most important at this moment? And what about when a spouse wants attention, but so does your Mom or Dad? It's difficult – and it's even more difficult when our emotions and energies get tangled. If you find yourself wondering which way to jump, get a bottle of Elm and get control. Of course, other emotional blocks may be making it worse. So why not visit Feel Bach! and fill out the questionnaire? Then you can get a special blend that will address the other issues and help you enjoy the rest of this summer.